The Rome International Careers Festival is a networking and meeting opportunity between brilliant young minds, institutions, companies, NGOs, and international organizations, whose third edition will take place from the 24th to the 27th of March 2018 within the beautiful framework of the city of Rome. 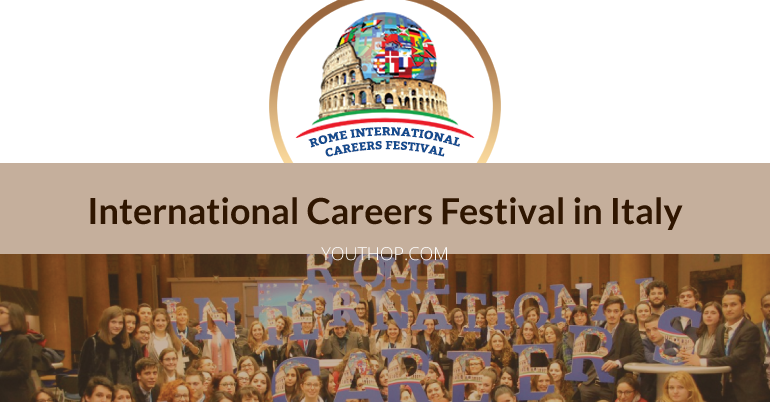 The idea to create such a Festival was conceived by GIOVANI NEL MONDO, a non-profit association founded in Italy with the goal of promoting and favoring the interaction between the talent, ambition, and brilliance of young people and the world of international opportunities. INTERNATIONAL CAREERS COURSE- A guidance course filled with practical workshops for a successful international career. Recommended for students from any faculty/academic background. Guidance for an International Career – Simulations – Meetings with Industry Experts from over a hundred countries, and be among a gathering of around 35000 participants. 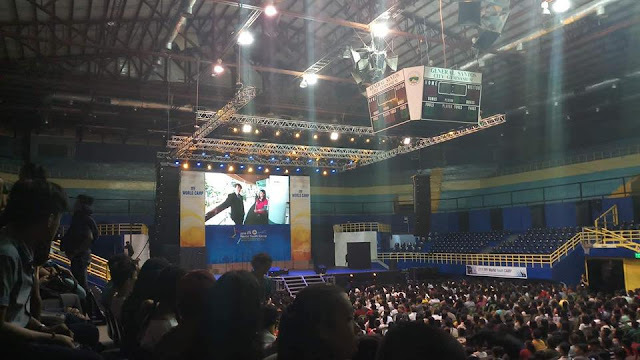 Competitions with Thousands of International Students. A scholarship that might cover either accommodation, a light meal during the conference and registration fees or covers only the latter (registration fees), airfares and other expenses are to be covered by participants themselves. Participants may either apply for the scholarship or choose to cover their full expenses. High school students in their last two years, undergraduate students, postgraduate students, I or II Level Master’s students, students who have graduated (no more than a year after receiving their diploma), and Doctorate students. B1-B2 level of English (in accordance with the European standard) is required in order to participate in the Festival, C1 minimum in order to apply for scholarship. Scholarships are very competitive though.